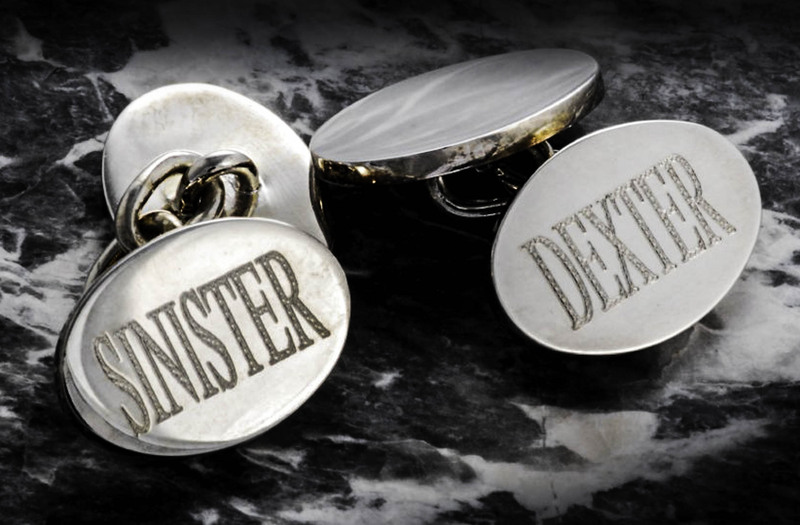 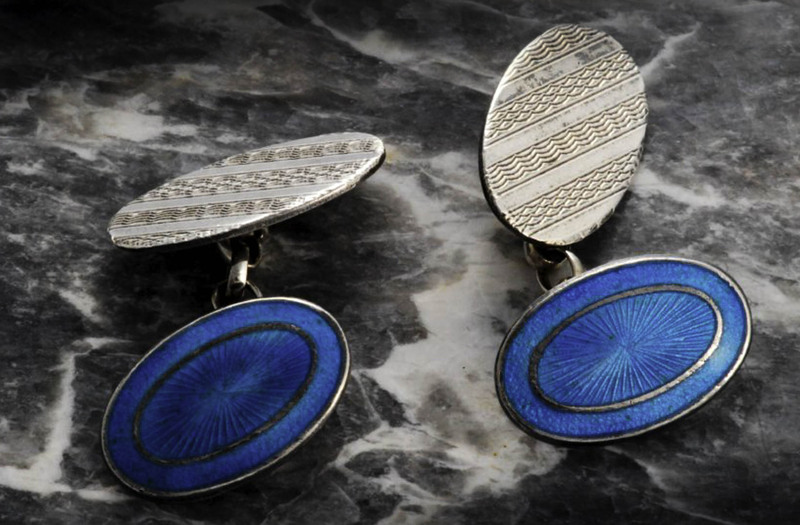 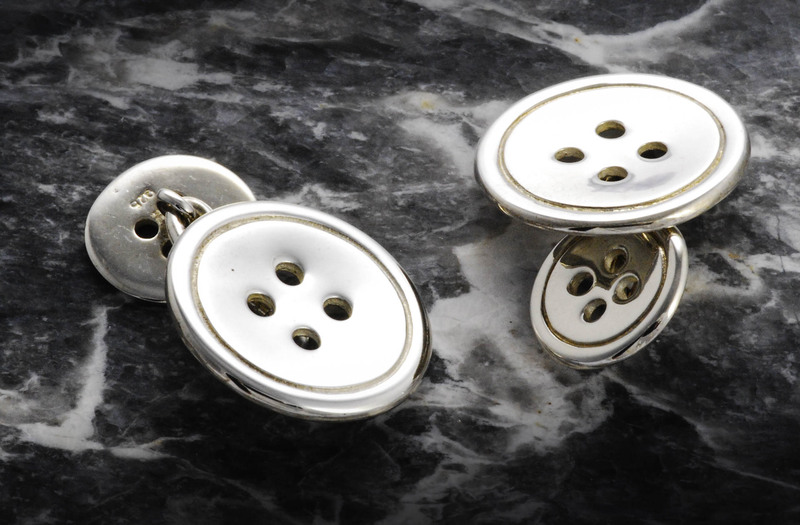 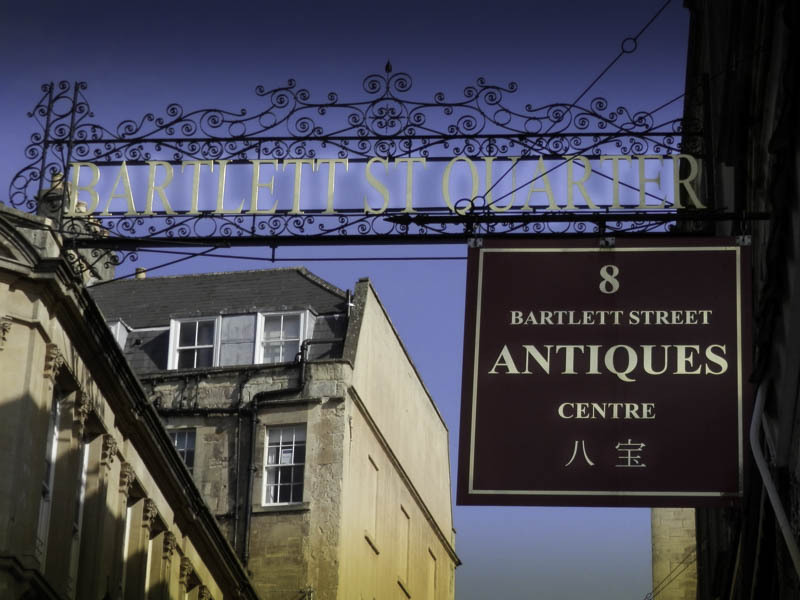 The largest selection of Antique, Retro and Modern Cufflinks outside of London. 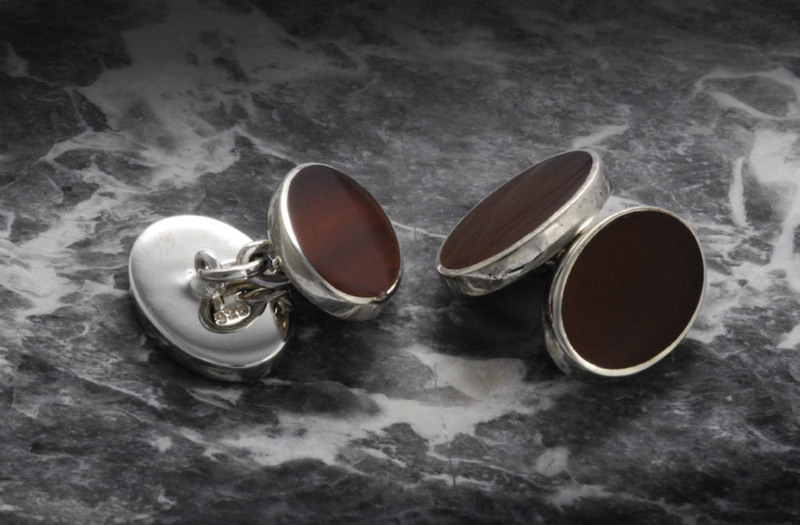 We always have an extensive selection of 18ct, 14ct & 9ct Gold Cufflinks. 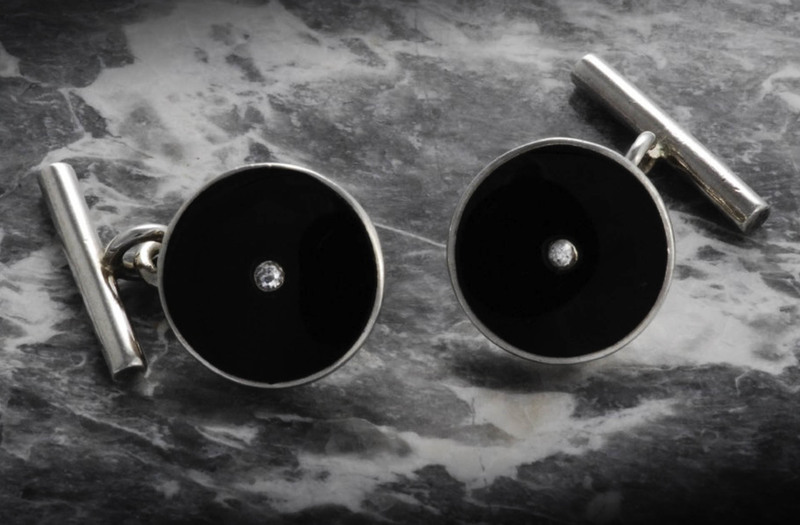 Diamond and Gemstone set Cufflinks a speciality. 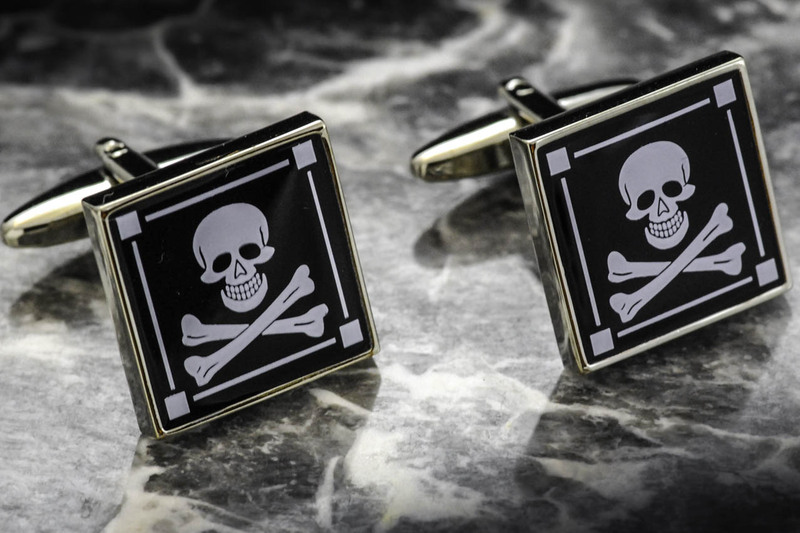 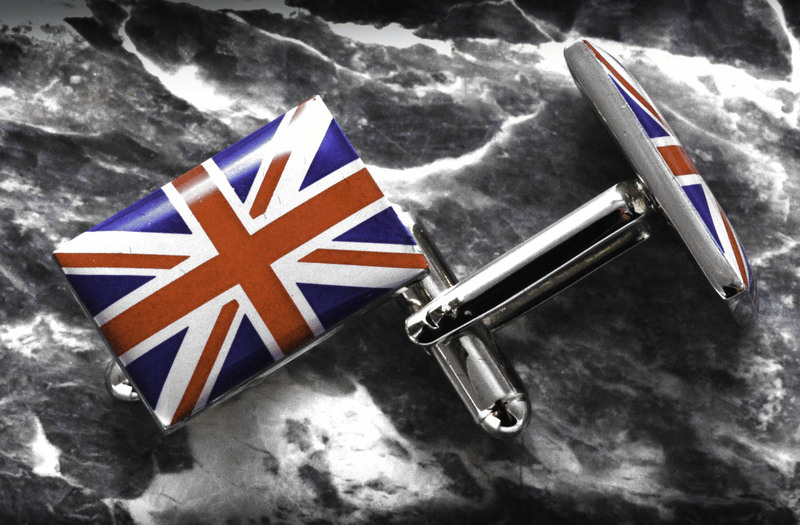 We also stock a large range of Novelty Cufflinks suitable for all celebrations and occasions. 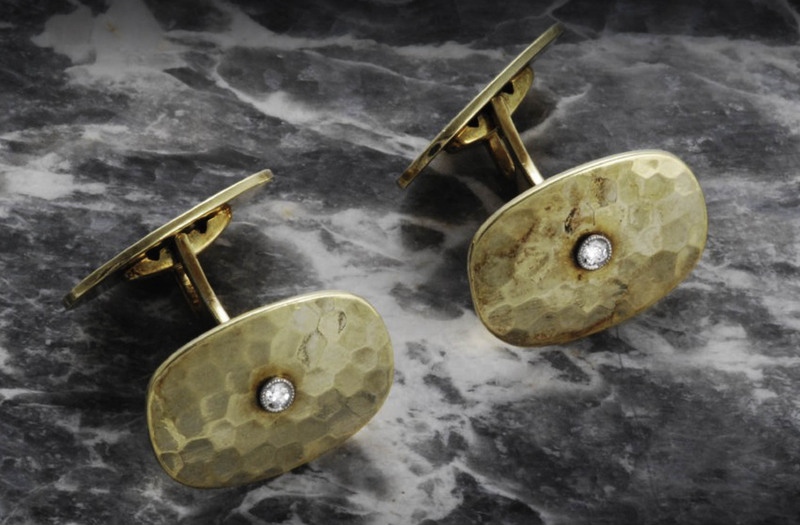 Our team of trusted Goldsmiths and Silversmiths will create a "One Off" pair from your designs or ideas. We also offer a deep cut hand engraving service. 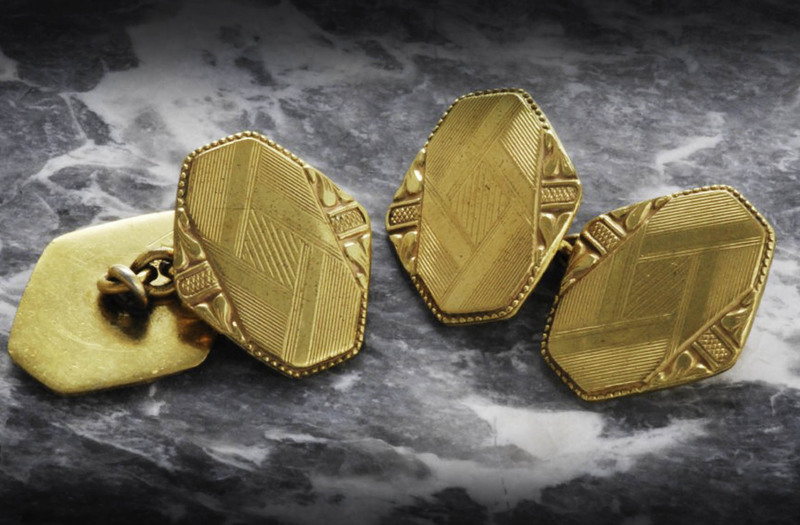 Capture your mood, Carpe Diem!! 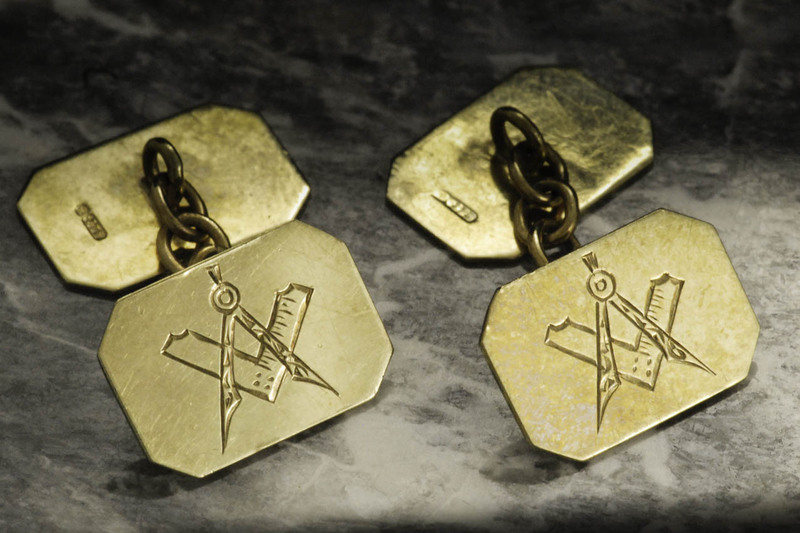 Large selection of Masonic Cufflinks. 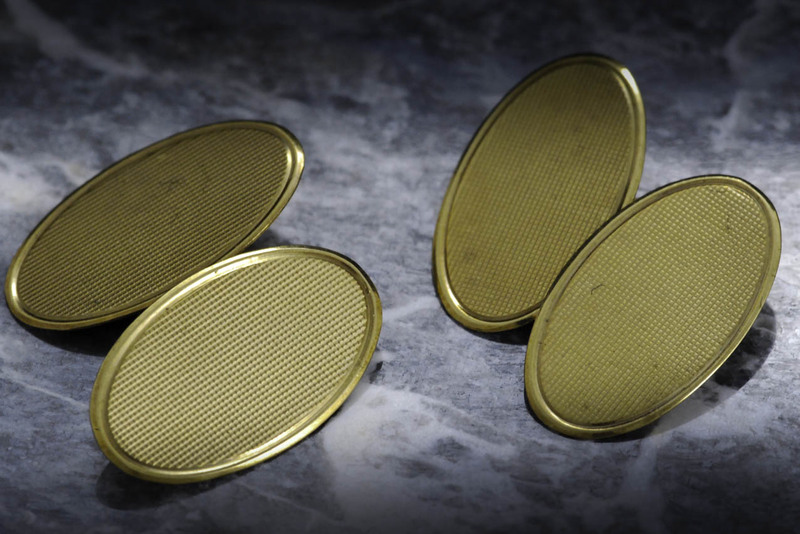 Thick cut, suitable for engraving. 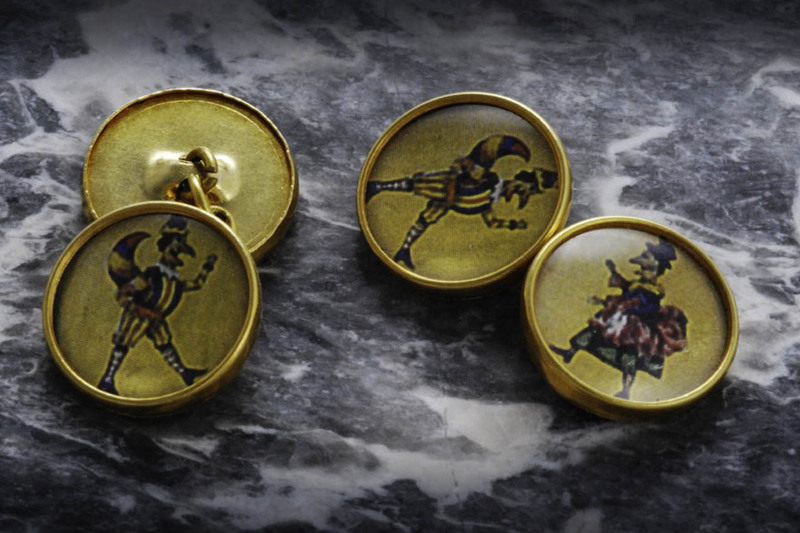 Gold and Silver based Enamel.